Gabriel is a real newcomer but has smashed into the palaeoart scene with his huge productivity levels meaning his artwork is already everywhere online and in books and in concert will all kinds of media and palaeo projects. There’s already a mountain of his material and more is coming as he talks about his book plans below. I have been drawing since I can recall. I was thinking about this the other day, and I realized that I do not remember a time in my life when I was not drawing or painting. I have always loved drawing, I have always loved animals, and I have always loved drawing animals, so I guess it was a natural progression for me to become a scientific illustrator and paleoartist. I am a newcomer to the paleoart scene. 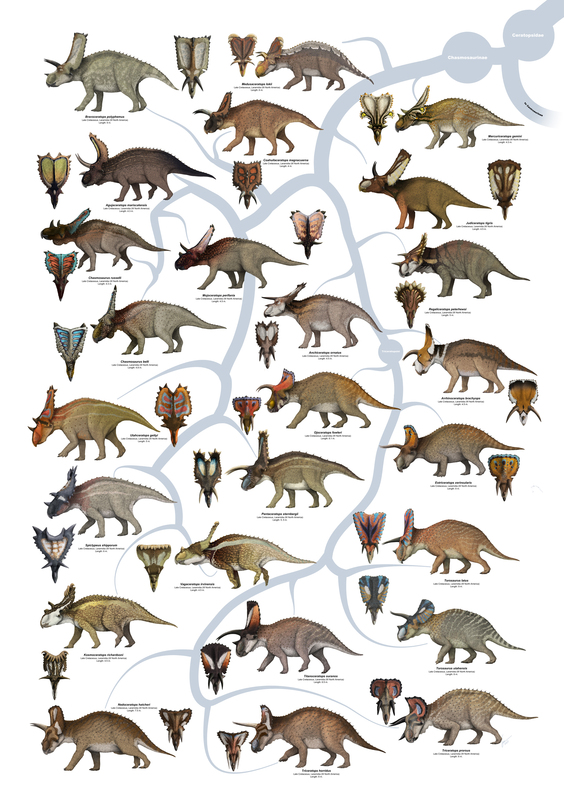 I have only been seriously involved in producing paleoart for the last three years, but in that time I have been fortunate enough to have won the praise from numerous paleontologists and several fellow paleoartists that I truly admire. 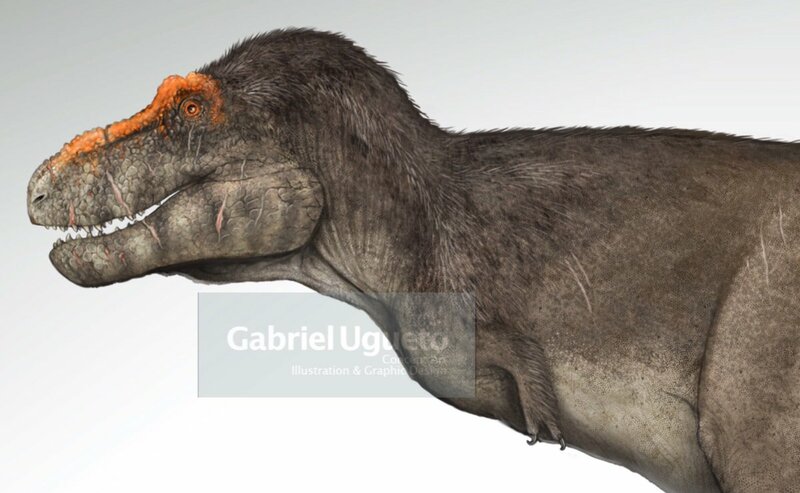 I have worked on some really interesting projects that include books, scientific papers, art for museums, magazine articles, and even the TV documentary “The Real T. rex,” in which I got to work with you in the concept art that was used to generate the CGI Tyrannosaurus rex that appears in the program. I studied graphic design and illustration, and the road to becoming a paleoartist has not been straightforward. Before entering the world of paleoart, I was doing other types of graphic art, including scientific illustration. For several years I was also an independent herpetology researcher, and I authored numerous papers including the description of several new species and genera of neotropical lizards. During that time most of my scientific illustration was concentrated in herpetology. As time went by, I started getting more and more requests to illustrate various types of reptiles and amphibians. The world of herpetology is intrinsically linked to paleontology, so I consider my incursion into paleoart just a natural extension of my work as a scientific illustrator. Eventually, enough people were asking me for commissions that I could start working as a full-time freelance paleoartist and scientific illustrator. I grew up in Venezuela in a family of nature lovers, so I was surrounded by numerous field guides and other animal books, as well as by the diverse local fauna. Thus, I was exposed to animals constantly in one way or another, and they very quickly became the most important subject for my art. I was not only fascinated by extant creatures but extinct ones as well. Dinosaurs and other Mesozoic reptiles were among the first animals I remember drawing, and I was completely mesmerized by them. My oldest brother (who is my elder by 19 years) was studying geology when I was a little kid so there were all these books about geology and paleontology laying around in my house. I used to spend hours reading those books and drawing the various extinct animals that appeared in them. My favorite piece is always the one I am currently working on, or the one that I am planning to do. It is that drive to create something new that keeps you going, hungry, and interested as an artist. I think that is the case not only in paleoart or scientific illustration, but in every line of creative/scientific endeavor. Currently, I am largely focused on finishing my book “Journey To The Mesozoic vol. I.” In it, I would like to take the readers on a journey around the world during the Triassic and Jurassic periods, visiting 33 geological formations and seeing reconstructions of over 600 tetrapod species that lived during that time. Some of those reconstructions include several well-known dinosaurs like Diplodocus, Stegosaurus, and Allosaurus, but also numerous, more obscure and extremely interesting creatures. 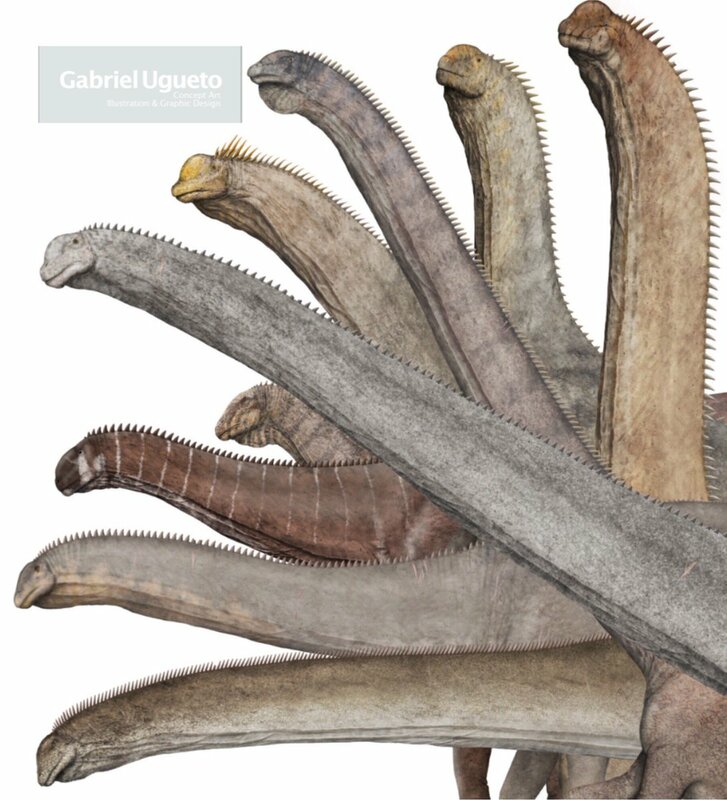 So, my book and the reconstructions I have produced for it, are currently my favorite pieces of paleoart. 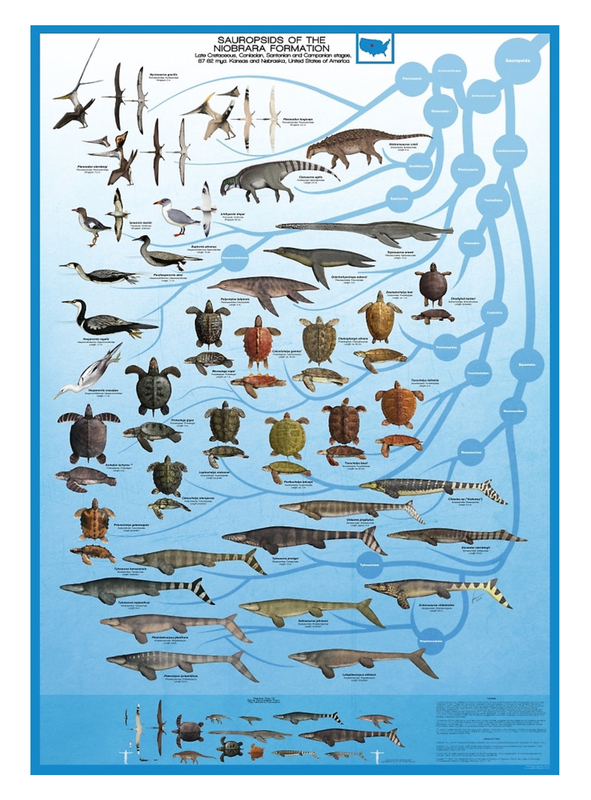 There are many paleoartists who have been, and continue to be, sources of inspiration for me. Among those, I can name five who have been fundamental in influencing and inspiring my work. Douglas Henderson has created some of the most beautiful scenes in paleoart, with masterful compositions depicting animals in a very natural way. 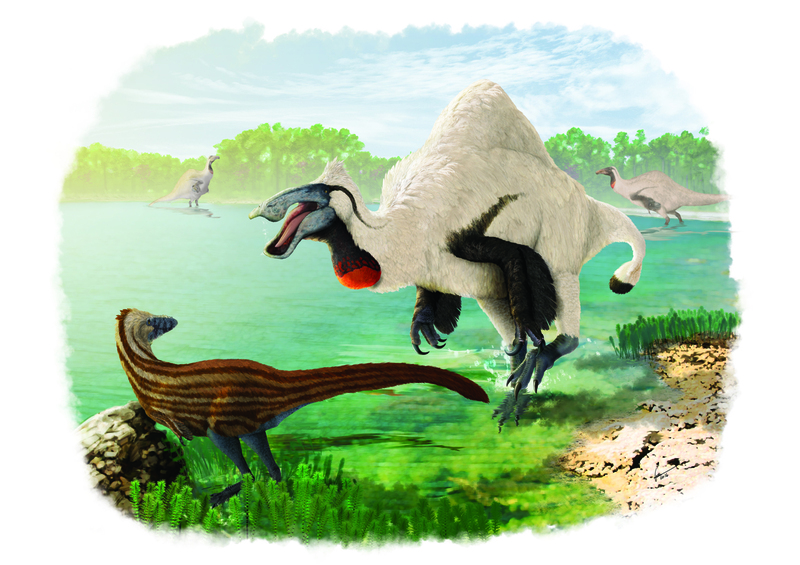 I am particularly fond of his reconstructions of Triassic animals and environments. John Conway has been a major influence on me regarding depicting exciting hypotheses in an artistically interesting way. I also deeply admire the wonderful art by Mauricio Anton. His magnificent and detailed illustrations of (primarily) extinct mammals are, in my view, some of the best depictions of that group of vertebrates ever created. Matthew Martinyuk reconstructions of maniraptoran dinosaurs and pterosaurs, done in a simple but thoroughly researched, field guide style, have also been very influential for me. 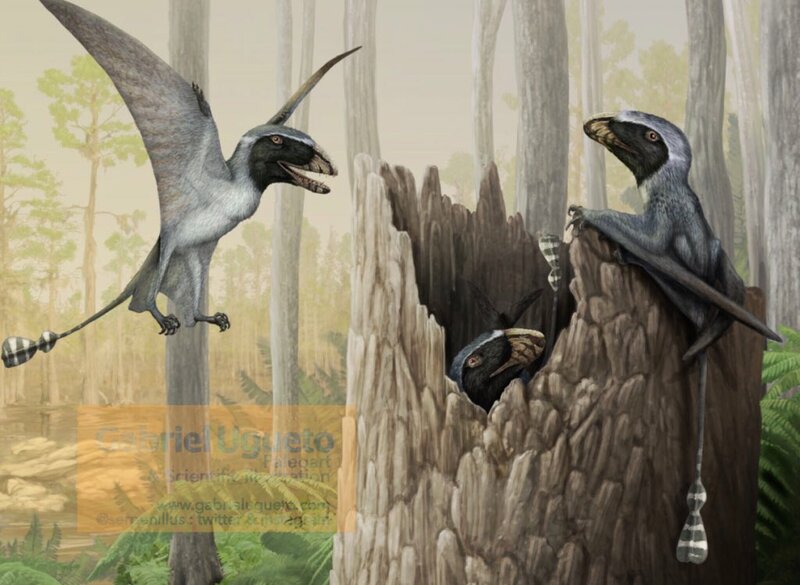 As have been the beautiful, atmospheric reconstructions of appropriately feathered maniraptoran dinosaurs by Emily Willoughby. I get this question on social media all the time, and I always answer it the same way: I cannot choose just one because there are so many of them that I find so interesting, including all extant birds and crocodilians. In all honesty, I think I am slightly partial towards theropods, but recently, my love for various pseudosuchian groups has grown tremendously. Many of them, like poposauroids and metriorhynchids have become some of my favorite art subjects. There are a lot of them, maybe too many to list. Also, I am always interested in revisiting animals that I have reconstructed in the past, viewing them from a different point of view or perspective. 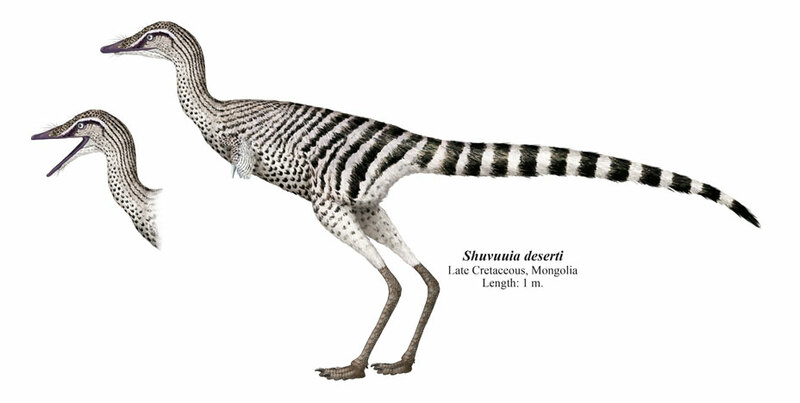 In my view, good paleoart should make the viewer feel the subject you have depicted as an animal that could be alive. Secondly, good paleoart should be effective in helping general audiences understand the latest scientific research and hypotheses. Finally, good paleoart should never showcase extinct animals as blood-thirsty, psychotic movie monsters. Sadly, the world of paleoart is over saturated with reconstructions of dinosaurs and other Mesozoic reptiles running around or swimming with their mouths wide open, a maniacal look in their eyes, and blood spilling everywhere. Sure, gory scenes occur in nature, but they are not nearly as interesting or common as other parts of the daily life of any animal. Images like that just help reinforce the view of dinosaurs and other extinct animals as kaiju. For me that is the equivalent of a tabloid story. Simply yellow press or click bait at its best based on little or no real truthful information. You can follow Gabriel on Twitter here and Instagram here and his website is here.